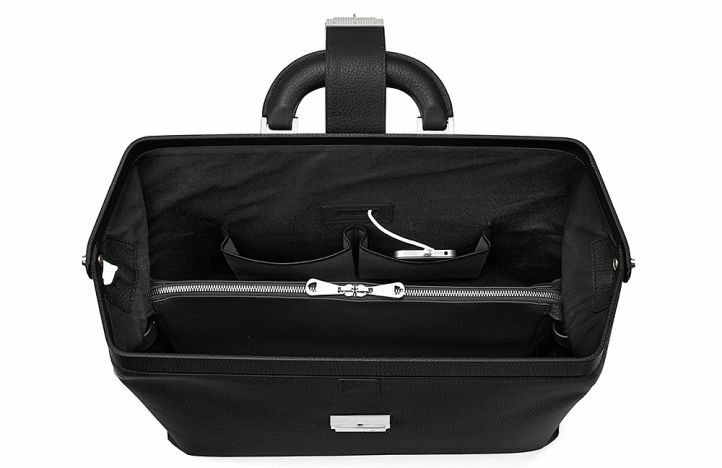 Described by British GQ as the "perfect prescription", the new Doctor's Bag from the Combination Lock Family is the perfect choice for business professionals. The classic Doctor's Bag presents a new addition to our Aspinal men's AW15 Collection and joins our best selling Small and Large Mount Street Bags Aspinal's Tech enabled mens line. You won't find stethoscopes in this Autumn 'It' Bag, but it will guarentee to make any man feel better on their commute into work.